HOLIDAY HOMES TO RENT IN RHONE ALPES. 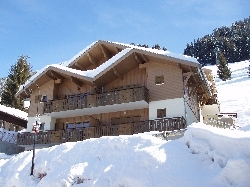 Welcome to our selection of holiday homes to rent in Rhone-Alpes, France. Rhone-Alpes is one of the largest regions in France, located in the east of the country and dominated by the Alps. Whether you're visiting in the winter for a skiing holiday or touring the stunning natural scenery in the summer months, there is plenty here for those who enjoy getting outdoors. There are several spa towns in this part if France, perfect for relaxing after a long day on the slopes or a long hike in the hills. Most of the well-known French ski resorts are within the Rhone-Alpes region, including the exclusive trio of Val d'Isere, Courchevel and Meribel. Summer visitors may prefer to visit some of the lower slopes, where hiking trails are more common and where you can try outdoor activities like mountain biking or horse riding, and more extreme sports like rock climbing, kayaking and abseiling. One must-see if you are in the area is Mont Blanc, Europe's highest mountain. Only experienced hikers and climbers should try tackling this difficult peak, but there are plenty of other ways to get a great view of this spectacular mountain range. You can take a cable car to the Aiguille du Midi, where the outdoor restaurant provides the ultimate meal with a view or there is a small train that takes you as far as the Mer du Glace, a seven kilometre long glacier. Finally, a single-gauge tram takes passengers as high as the 2,000 metre Nid d'Aigle, offering great views throughout the journey. As well as mountains, the Rhone-Alpes region is famous for two lakes. Lake Geneva in the north marks the border between France and Switzerland and is a great place for some sunbathing and swimming in the summer, as well as skiing on the slopes overlooking the water in winter. There are a couple of spa towns in this part of the region, such as Thonon-les-Bains and Evian, where the famous mineral water comes from. Lake Annecy, near the town that shares its name, is smaller than Lake Geneva, but instead boasts the title of the purest lake in Europe, filled with clean, glacial spring water. Popular with both locals and visitors as an open-air swimming pool in the summer, it is also a common site to see paragliders soaring above the water from the surrounding hills. The town itself is also worth a visit, thanks to its pretty centre with canal-side cafes decorated with hanging baskets of colourful flowers. Looking for self catering holiday accommodation in Rhone-Alpes? Then below is a selection of gites in Rhone-Alpes and villas in Rhone-Alpes that can be rented direct from their owners. You can either click on each listing for further details or you can use our search engine on the left if you are looking for something in particular.